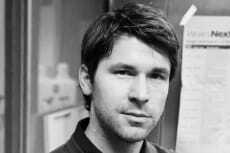 NYSCF – Robertson Stem Cell Investigator, Dr. Alex Meissner of Harvard University, mapped the methyl and demethylation patterns in human cells before and after fertilization. While this has previously been done extensively in mice, human DNA methylation patterns and changes are not fully understood. The research, published in Nature, describes full genome DNA maps of methylation patterns in human cells during preimplantation development and embryonic stem cell derivation. The scientists confirmed that paternal genome demethylation is a general attribute of early mammalian development.